My playing card is the Ace of diamonds of gangster pack of cards. 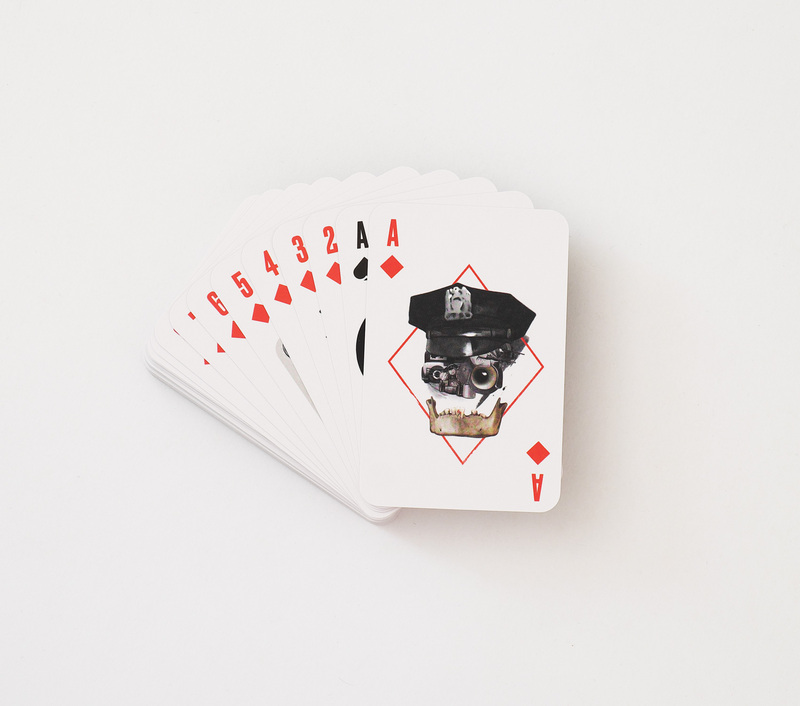 “Gangster playing cards” is the joint project of Bang! Bang! Studio illustrators, dedicated to the era of gangsters, the Prohibition era and jazz – in other words, America during the1920s and 1930s. Each of the fifty-four cards combines the genre subject and the author's unique style.